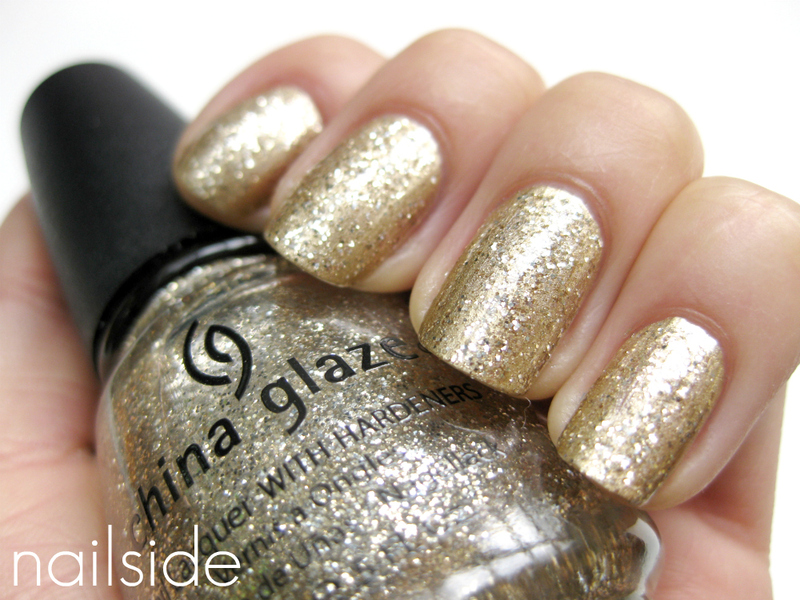 Nailside: Be rich, be bold, be gold! Hi guys, for today's post I'd like to show you a very fast and festive mani with two China Glaze polishes. It's a real party look that takes less then 5 minutes to create. I used one-coater 2030, which practically dries with the speed of light! On top is also just one coat of Golddigger, a clear polish with small and pretty dense champagne-gold glitters. I think the result is fun, very bling and even elegant with the right dress ;) Top it off with fastdrying topcoat and you're good to go! lovely! i love metallics with glitter. Your blog is so awesome, don't change anything! Haawwwaa, this is such a beautiful colour:D So gorgeous!! I just came across your blog!!! and I am loving it already!! I am surely following you!! !